One of the most exciting things about downtown Lynchburg is the nature that surrounds it. In five minutes, you can walk from a bustling urban downtown street to a quiet, serene trail beside a babbling creek or even onto an island! Whether you're up for a bike ride on one of the nearby trails, a casual stroll, or a relaxing canoe ride down the James River, you can find it in downtown. Try out one of the many trails around Downtown Lynchburg and enjoy an up-close and scenic view of the local area. View Lynchburg Trail Map. Riverwalk is a 3.5 mile trail begins downtown on Jefferson Street by Amazement Square, travels the length of downtown beside Jefferson Street and through Riverfront Park. Then things get truly exciting. Using bridges originally created for the railroad, the trail crosses over onto Percival's Island, and then into Amherst County. A perfect for walking, biking, jogging, fishing, and a beautiful riverfront view. Percival’s Island is local favorite destination in downtown. Visitors may see herons, migrating waterfowl and many native plants and animals as they follow the paved trail, which bisects the natural area. The James River is the backdrop for any visit to the island, featuring views of both calm pools and rushing waters Anyone wishing to spend a quiet afternoon or quick bike ride while enjoying views of the James River will find a lovely park with many special places to explore. The Blackwater Creek Trail is one of the most popular trails in the city. Pick up this trail on the corner of Jefferson St. and 8th. street, where you will start your journey along the winding Blackwater Creek. This 3-mile paved trail and its many paved and unpaved tributaries are perfect for jogging, walking, or biking. Completed in 2015, the Bluffwalk is a beautiful series of walkways, overlooks, trails, and staircases between Jefferson and Commerce Streets. A stroll along the Bluffwalk will take you past exciting restaurants with outdoor seating, old warehouses converted into loft and condominiums, and beautiful river views. 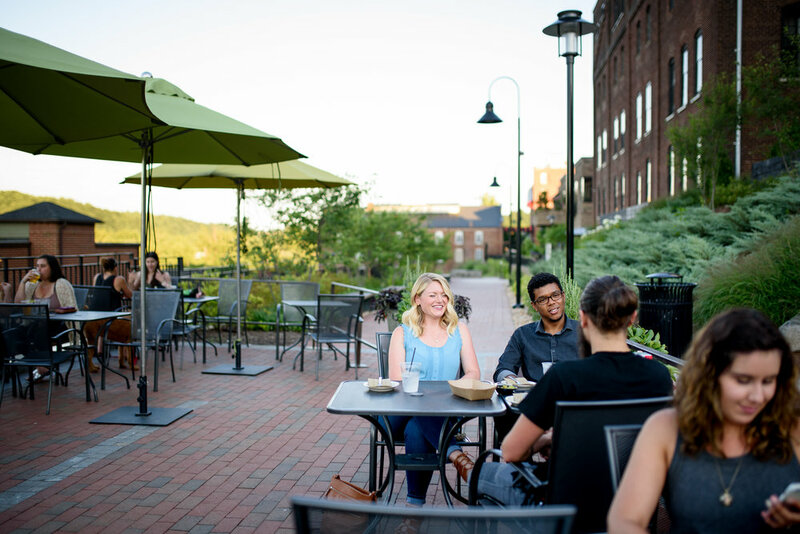 A trip to downtown Lynchburg is simply not complete without a visit to the Bluffwalk — don't miss it! Riverfront Park is located near the James River on Jefferson Street. This park, built for festivals and other special events, is also a great place to play catch with friends or run around with your furry friends. The best part? A fountain for the little ones to play in during the hot months. If you're looking for something a little out of the ordinary, don't worry! We have plenty of fun indoor and outdoor activities that will keep you busy any day. Explore the James River by kayak or canoe! Just across the river from Downtown, James River Adventures offers canoe and kayak rentals to people of all skill levels. Their goal is to provide an opportunity to learn more about nature, and to experience the river’s history, health and future while having fun and enjoying its beauty. Looking for bike rentals? Bikes Unlimited is located at 1312 Jefferson Street in historic downtown on the James River Heritage Trail where the Blackwater Creek Trail and Riverwalk Trail meet. It’s the perfect place to hop on a bike and explore the trails! You can rent a bike for just $12.00 per hour, or check out their extensive inventory and purchase a bike of your very own. Check out their website for more information. This locally owned skateboard and bicycle shop has been doing its thing in downtown since 2001. With access to over 350 skateboard brands, they can order whatever you need. They also service and repair all makes of bicycles. Bring yours in for a tune-up and they'll get you back riding quick. Interested in doing some outdoor activities - indoors? Stop by Rise Up Climbing, Central Virginia's premiere rock climbing gym, for an exciting adventure. If you are prepared to move, to apply clarity to your alignment, to watch your mind, to sweat, to stay steady, to let go, to engage and to be inspired, welcome to Yoga Goodness! Yoga Goodness Studio offers alignment-based vinyasa yoga, grounded in the meditation practices of mindfulness and compassion. The studio was founded by Cyndi Lee, the first female Western yoga teacher to fully integrate yoga asana and Tibetan Buddhism in her practice and teaching. 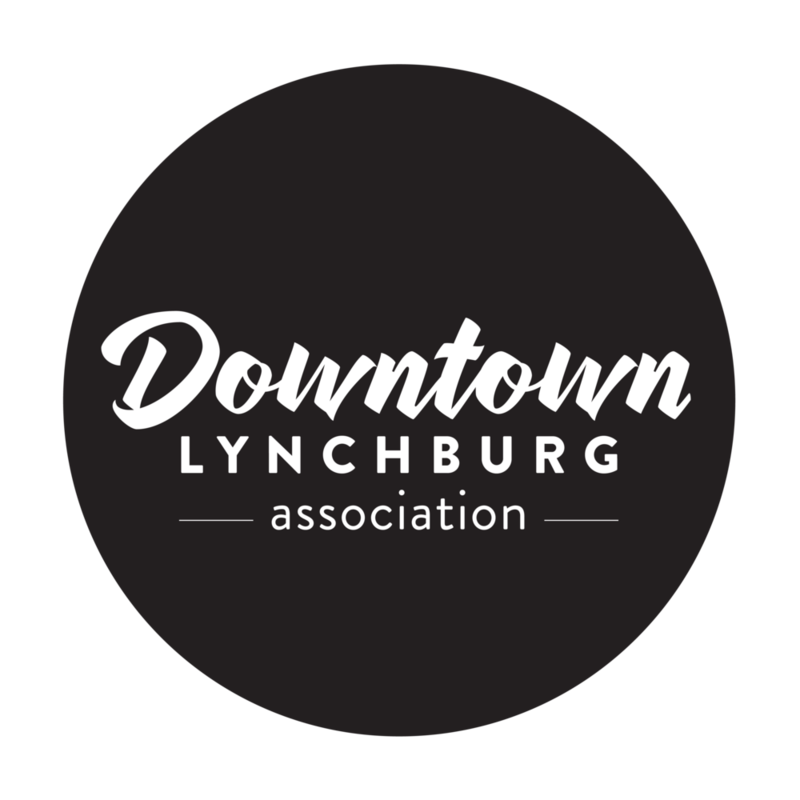 Situated in the historic district of downtown Lynchburg, the Downtown YMCA offers much more than meets the eye. At the Downtown YMCA they offer convenient child watch hours, a modernized fitness area, fully equipped aquatics center with sauna, steam room and jacuzzi, racquetball courts, and more.